Handcrafted in London using both modern and traditional jewellery making techniques. 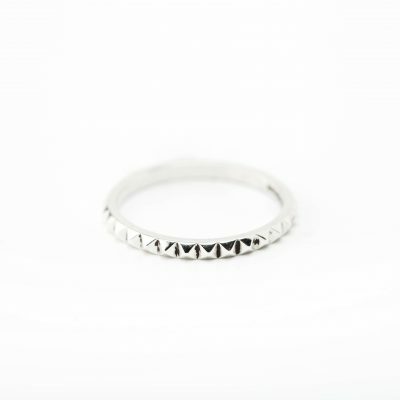 This ring is meticulously crafted in Sterling Silver with a highly polished finish inside and out. The Luminous Maverick Ring is part of our brand new Men’s jewellery range. A unique piece featuring a pyramid pattern through the centre of the ring. This ring has a nice weight to it. A true standout piece for the collection.